¯ Ellysha Sieminski, 21, of Youngsville, Pa. Was charged Friday with driving under the influence of alcohol. 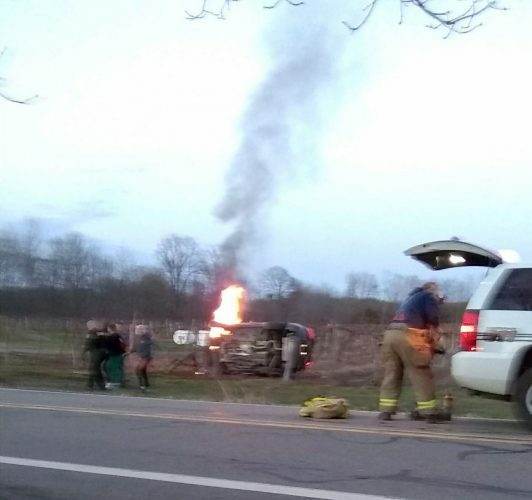 According to police, Sieminski was allegedly involved in a one-vehicle crash at Murray Hill Road and Matthews Run Road in Brokenstraw Township, and further investigation, police said, she was found to be DUI. She was taken into custody without incident, and will be in court later. ¯ John P. Houser, 30, of Ripley, was charged Friday with possessing a hyperdermic instrument. Deputies responded to a residence in the Town of Ripley for a reported suspicious situation. Upon arrival, deputies located Houser at the residence, and after further investigation, it was found that houser allegedly was in possession of a number of hyperdermic needles. Houser was taken in to custody, released, and will be in Ripley Town Court later. ¯ MAYVILLE — David A. Cass, 61, of 416 Lincoln St., Jamestown, was charged Aug. 11, with petit larceny. At about 7 p.m. deputies were called to a location in the village for an alleged larceny. It is alleged, deputies said, that Cass made a verbal agreement with another person, receiving some money from that person, and then failing to honor his part of the agreement. Cass will be in Chautauqua Town Court later.